QLED. The Next Innovation in TV. Simply incomparable. Quantum Dot technology delivers colour perfection, using an innovative alloy material. An out-of-this-world viewing experience that never fades. We are a top-notch organization, engaged in providing 223cm (88) Q9f 4k Smart Q LED TV. 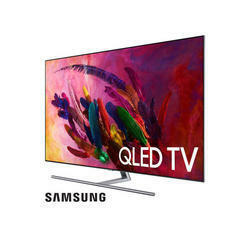 We are a top-notch organization, engaged in providing Q7F QLED TV. QLED. The Next Innovation in TV. Breathtaking picture quality with an impeccable design tailor-made to fit anywhere. Easy access to all your content and more. This is QLED TV. Breathtaking picture quality with an impeccable design tailor-made to fit anywhere. Easy access to all your content and more. This is QLED TV. 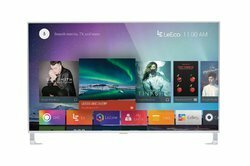 Samsung 189cm 75 Q7F 4K Smart QLED TV, Screen Size: 75"
Our company has been successful in winning appreciation from the clients as one of the most prominent names in supply of Qled Smart TV Q7f Series Q7. Smarter than Smart Q Smart Control all of your devices and content from one place with one remote.